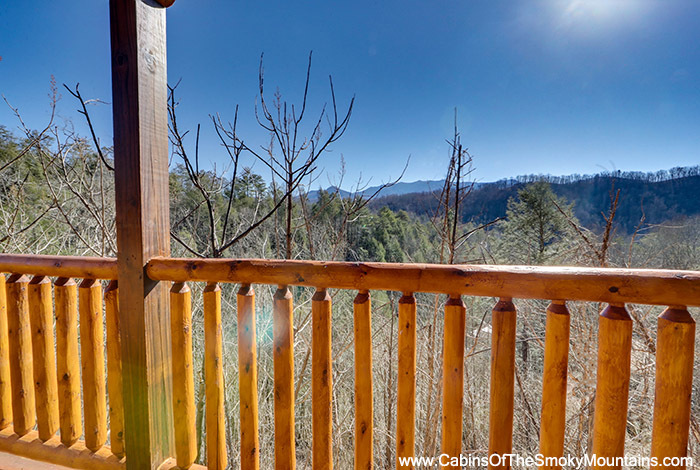 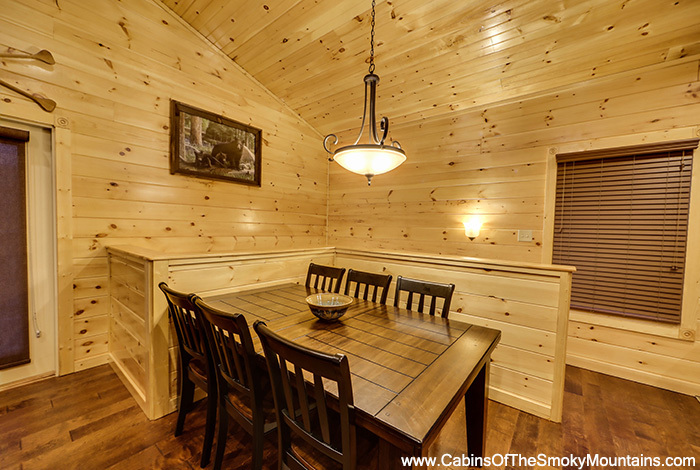 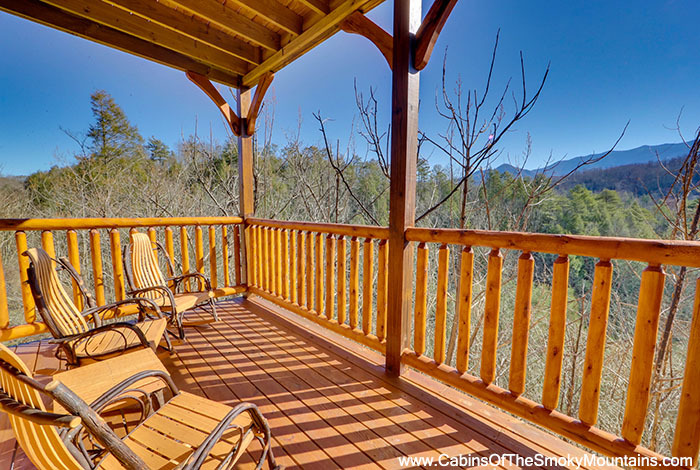 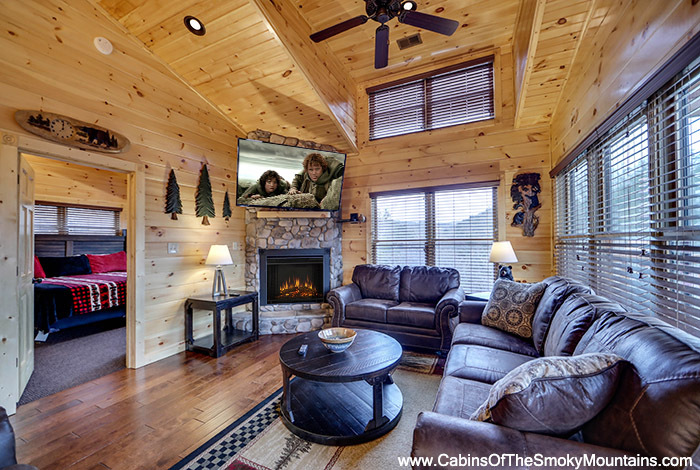 For an unforgettable retreat with that special someone, choose A View for Two, one of the most romantic cabins in the Smoky Mountains. 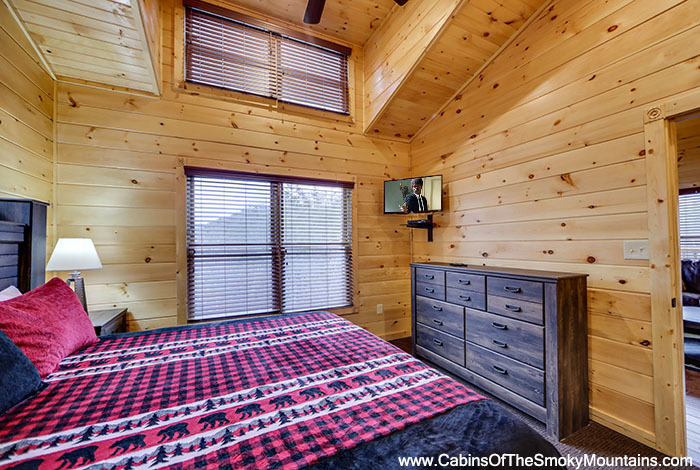 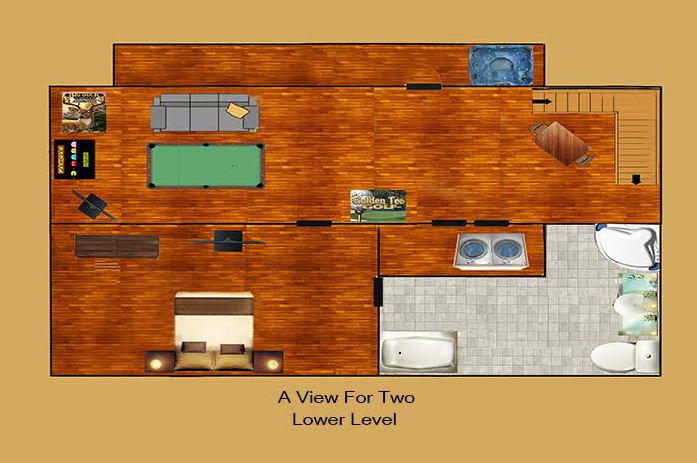 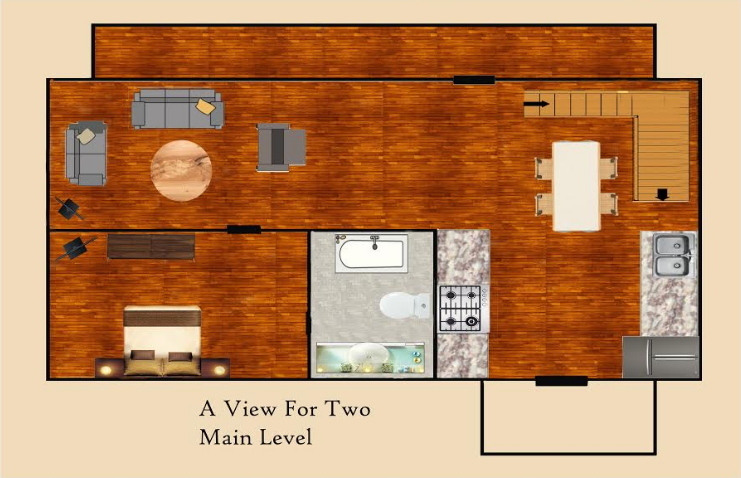 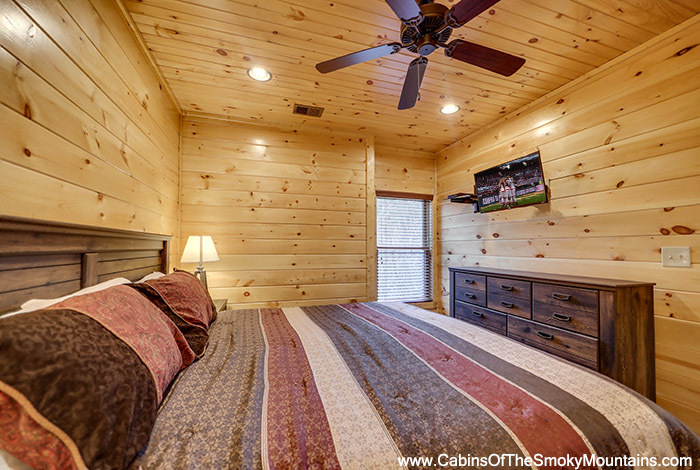 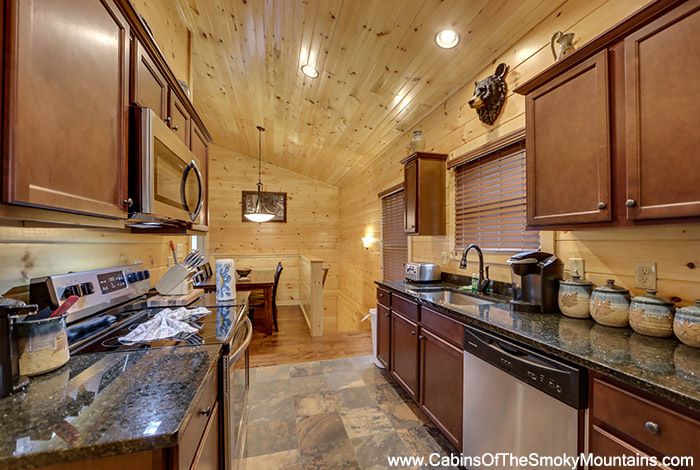 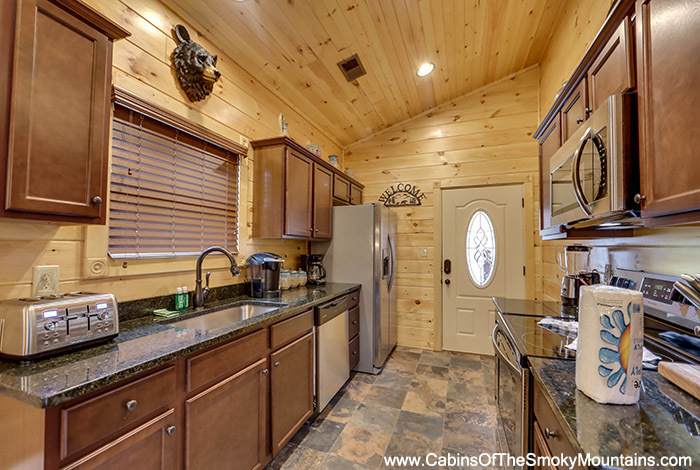 Couples will love the many romantic touches this cabin has to offer like the Amish rocking chairs and hot tub featuring spectacular mountain views on the porch, or the heart-shaped Jacuzzi tub in the master bathroom. 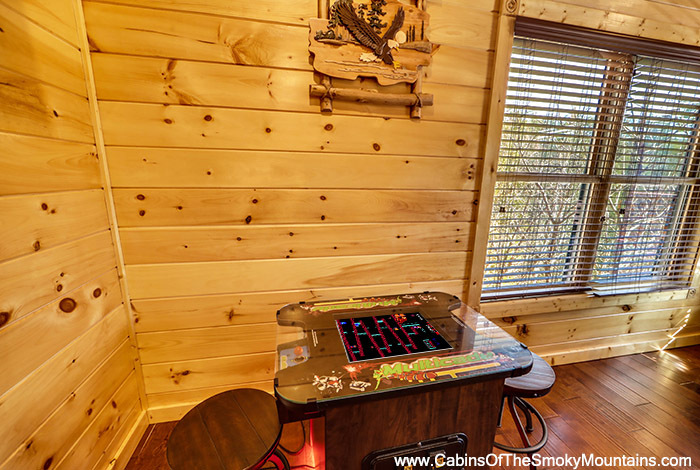 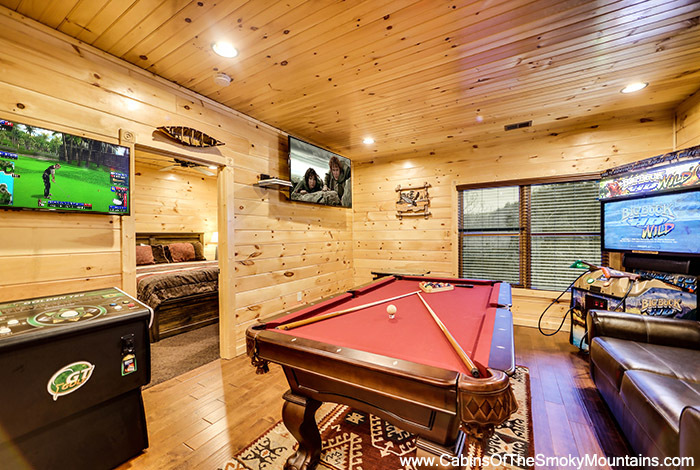 The interior is equally as impressive with its lodge-style furnishings, Wifi, 3 flat screen TVs, fireplace, and game room stocked with Pool Table, Golden Tee, Air Hockey, and Ms. Pac Man/Galaga arcade game. 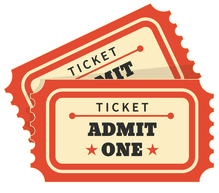 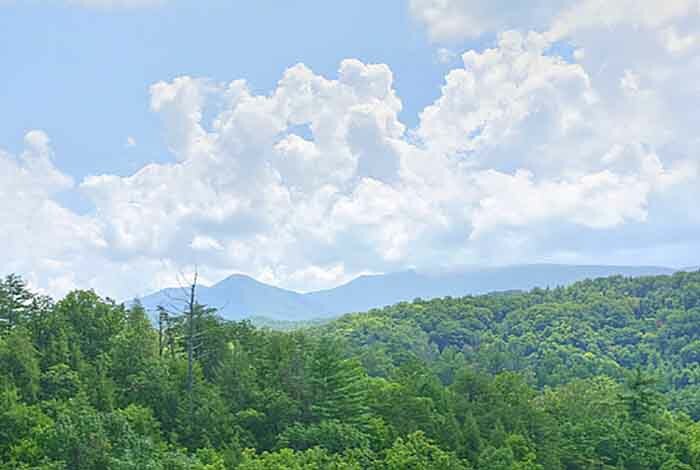 All this while being located just minutes from the action of downtown Gatlinburg and Pigeon Forge in the spectacular Gatlinburg Falls Parkview Resort. 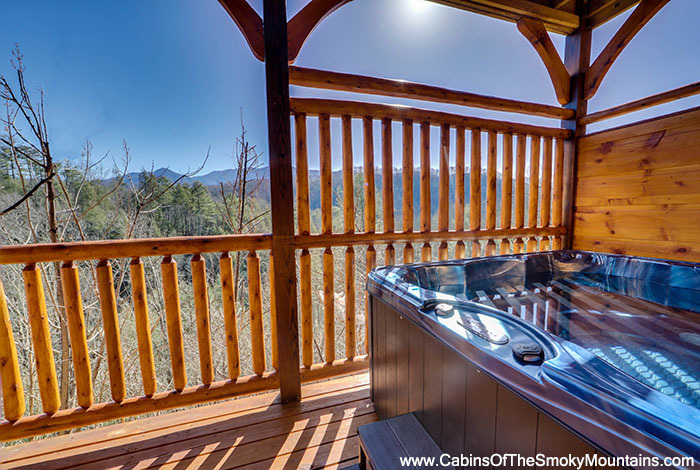 So come enjoy the romantic getaway of a lifetime at A View for Two, where luxury meets the mountains.